In an exclusive interview, Andrew Thompson, co-founder of Proteus Digital Health, tells us how his company is convincing the industry to embrace digital medicine. Abilify MyCite made history in November 2017 when it became the first ‘digital medicine’ approved by the FDA. The product is a combination of Otsuka’s antipsychotic medicine aripiprazole with an Ingestible Event Marker (IEM), or ingestible sensor, developed by Proteus Digital Health. The sensor is embedded in the pill, and when it is ingested the MyCite patch, also developed by Proteus, detects and records the date and time of the ingestion, as well as certain physiological data such as activity level. It then communicates this to the companion app on the patient’s mobile phone. Abilify MyCite’s approval established Proteus as a company on the leading edge of innovation in the industry, but as is often the case for industry firsts, it has been a long road to get there. 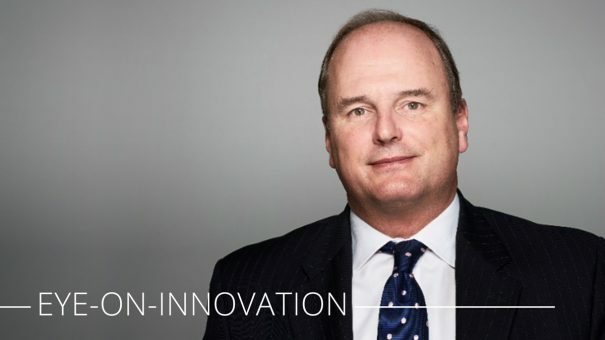 Andrew Thompson, Proteus’ co-founder, president and CEO, says the idea spawned from his own frustrations with how both pharma and tech companies were tackling problems with adherence. Thompson says that the company is built on a series of deep observations about how digital transformation occurs. “Transformation in digital categories occurs based on high value, high frequency, low friction transactions that take consumers from the physical to the digital space. The risk of any innovation like Proteus’ sensor is that if pharma companies and other stakeholders don’t get it, they will see it as an additional cost without seeing the benefit – and early on in the ingestible sensor’s development Proteus identified several hurdles they had to overcome to sell the idea. Thompson explains how the company looked to demonstrate the sensor’s value proposition: “Non adherence to medical therapy is not a localised problem. It’s one that’s true across all demographics, all countries, all cultures, all ages, all people. It’s a universal problem. Mental health was one of the first areas Proteus looked to work in because it was one of the areas where their technology could quickly demonstrate a huge impact. Proteus has also demonstrated efficacy in other areas like hepatitis C – where more than half of patients who are offered treatment with curative drugs are denied access on the basis that there might be an adherence risk – and cardiovascular disease. From there, the second hurdle was to make sure that products like this can be approved in ways that didn’t involve excessive additional cost for pharma companies. The last hurdle was figuring out the business model for the product. “If there’s value and you can release that value through a regulatory pathway that doesn’t cost too much money, how are you going to be able to sell that product and justify the investment?” says Thompson. “This is where it becomes really important to understand that what we’re doing is transitioning from a product model to a data and service model. Digital medicines like Abilify MyCite could be a paradigm shift in many ways, but Thompson says that implementing these kinds of technologies requires more than a change in health systems – it requires a recognition that we don’t have a health system at all. When asked if the industry is being bold enough in digital health, Thompson’s answer is an affirmative ‘No’. “This is not an accident. It’s a business strategy. Last time I looked, there were five or six tech companies that are going to be worth a trillion dollars – three times as much as any of the world’s largest healthcare companies. Whatever shape the industry’s transformation will take, it is clear that digital health is not going to stop upending the sector anytime soon, and companies like Proteus will be the ones to watch as health enters a new era. Andrew Thompson is co-founder, president and chief executive officer of Proteus Digital Health. He is a World Economic Forum Advisor, and a member of the selection committee for the World Economic Forum Technology Pioneers. He also serves on the California Governor’s Health IT Security Advisory Board and is a member of the Fortune CEO initiative and Wall Street Journal’s CEO Advisory Counsel. Thompson has been active as a venture capital investor and entrepreneur in Silicon Valley for 30 years, completing several Fortune 100 M&A transactions and IPOs, and is a named author on 51 issued patents.